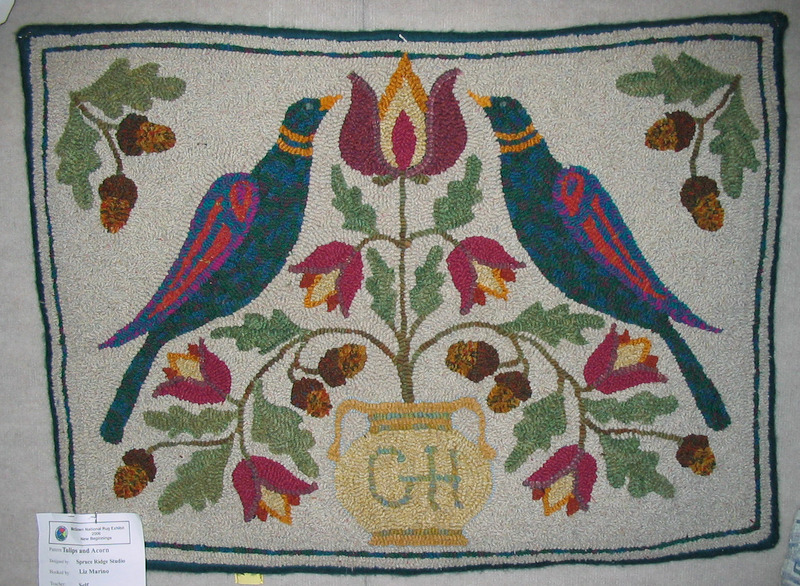 This beautiful rug was hooked by Liz Marino, and I believe she gave it as a wedding gift. I love Liz's jewel-toned colors which make this rug just glow. 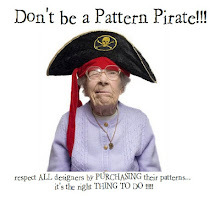 This pattern is another one of my favorites since I am a fan of any kind of motif with an oak leaf and acorn. 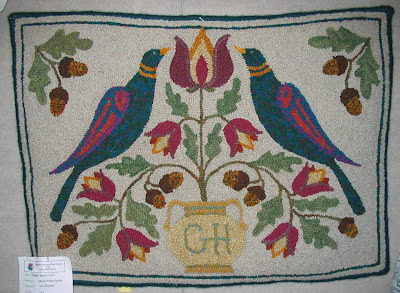 The fraktur birds are so graceful in this pattern and I love the whimsy of having acorns growing on the same stem as the tulips. My friend Marlene Dusbiber is a very talented woodcarver who carves the most wonderful folky creations ever! I recently purchased some of her fraktur birds and they are sitting on my desk. I feel inspired every time I look at them. If you want to see some of her other pieces of work, you can go to her blog and take a peek. She has recently done a wonderful paisley heart for Valentine's Day!